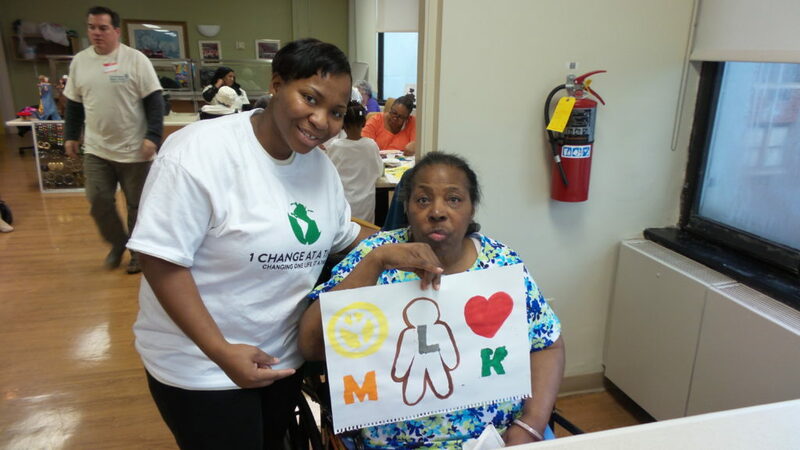 1Change’s mission is to promote the value of volunteerism and intergenerational relationships. We fulfill this mission by serving a range of communities with intergenerational programs focused on elderly assistance, youth development, mentorship, and many other community service initiatives. 1Change will match trained & caring volunteers with all generations we serve. Our volunteers will focus on positive reinforcement, trust-building, and goal achievement which is needed for all generations. Our purpose is to create positive interactions between older and younger generations. These interactions benefit the youth by developing skills, establishing values, and providing a sense of empowerment. Young and older adults benefit by providing mentorship opportunities, stimulate learning, and improving health by being actively involved. One of the ways we go about achieving this is having our young and older volunteers visit nursing, assisted living, and senior facilities to assist those elderly in need. Many youths in the communities we serve feel less empowered due to broken homes, peer pressure, drugs, and many other negative crises they experience on a daily basis. These visits provide a sense of self-worth, leadership development, relationship building, provide mentorship, and establish values that youth can carry with them throughout their life’s journey. Our older volunteers that range from young to older adults receive the same benefits as our youth. Many adults deal with similar crisis and become more conservative in their ways as they get older. Staying active in the community will improve the health of older volunteers, and also give them an opportunity to become mentors and provide companionship to the younger volunteers and elderly. 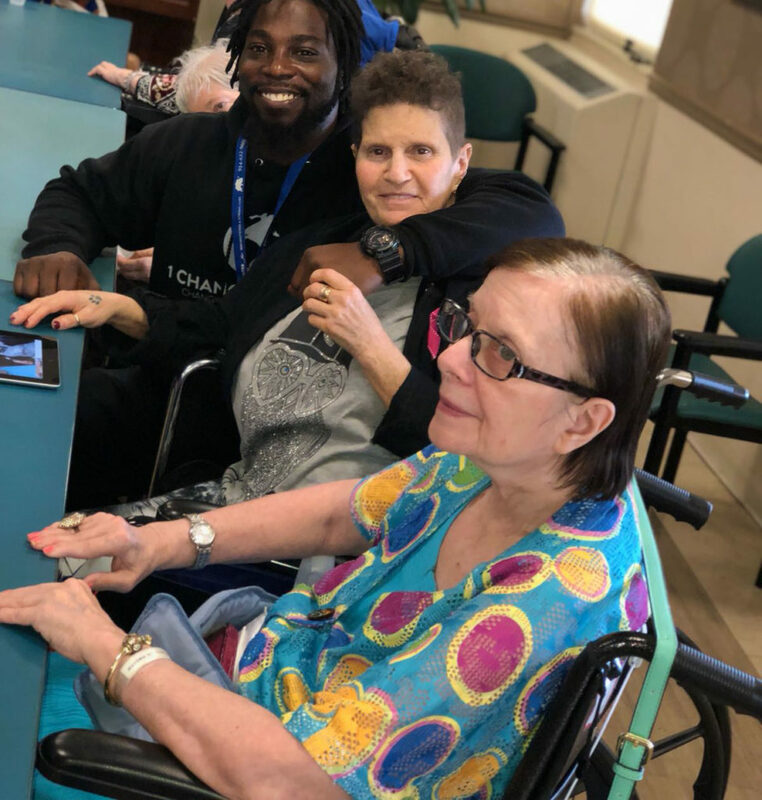 Visiting nursing, assisted living, and senior facilities provide our volunteers with a sense of self-worth and accomplishment, while improving the health and social wellness of the residents we serve. Positive relationship building between our young and older volunteers is central to the vision of 1 Change. We establish these relationships by conducting various intergenerational programs and community service projects such as, Therapeutic Recreation, Holiday Givebacks, and Neighborhood Cleanups, to name a few. The purpose of these various initiatives is for all generations to bond while being creative and conducting good deeds. 1 Change believes, “It takes more than 1 hand to make 1 Change”. What makes this all possible is our ability to bring together so many different volunteers from all walks of life. Our partnership with institutions and organizations such as Volunteer New York, Xtreme Fitness of Westchester, local schools, community groups, and independent volunteers allow us to provide the services we offer. These collaborations not only enhance our ability to reach the communities we serve, but also provide us the opportunity to build relationships with organizations and groups who believe in volunteering. We establish leadership, diversity, and responsibility by uniting all generations through all-inclusive programs and community service projects. 1 Change at a Time is an organization that understands the importance of creating an environment that teaches all generations how to lead and serve effectively, compassionately, and collectively.